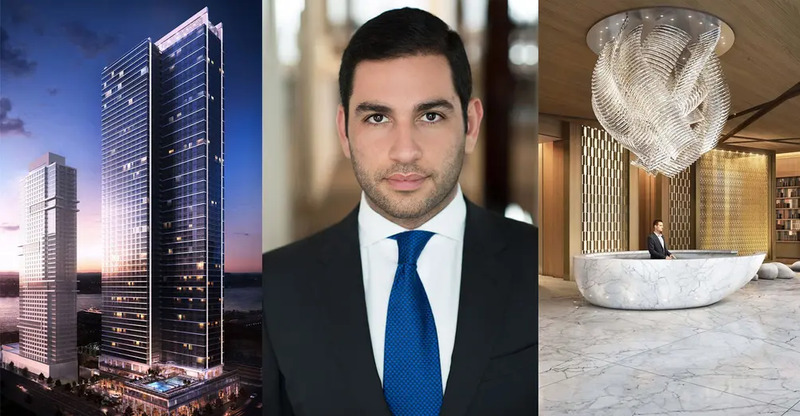 Mitchell Moinian was a teenager when the Moinian Group acquired the property on 42nd Street and 11th Avenue that would eventually become SKY, the latest crown jewel in their portfolio. One of CEO Joe Moinian’s sons, Mitchell is now a senior vice president in the company and project manager of SKY, a property that he waxes poetic about. Mitchell didn’t waste any time building his career. He began interning at Cushman & Wakefield, a global real estate services company, while still in high school. He was licensed as a real estate salesperson by the time he was 18 and began selling commercial real estate. In addition to overseeing work at SKY and marketing and leasing at the proposed 3 Hudson Boulevard, Mitchell recently launched Currency M, a new technology startup funding division of the Moinian Group. Rising out of the fundamental link between real estate and technology, their first venture is Paintzen, a “full-service painting concierge platform,” which is available to New York commercial and luxury residential tenants. The Moinian Group has a very large portfolio of commercial and residential property. What are you currently focusing on? Mitchell: The most exciting project that we are working on as a company is SKY, for sure. It’s years in the making, so it’s extremely exciting to deliver the building because it’s light-years above however great we imagined it was going to be. So we’re even more excited now that we are actually watching our residents live there, enjoy life there, work out there, play there. We are also extremely excited with our latest and greatest commercial project, 3 Hudson Boulevard. It’s a site that we’ve owned for many years in the center of the Hudson Yards District on top of the new #7 subway entrance. We’ve just started the foundation for this project. It’s a building of 2 million square feet, which is a whole different level, even for SKY, which is 1.2 million. On a more design and cultural level of excitement, we announced a few of weeks ago that we have been working with the late, great, Zaha Hadid to design one of her last buildings in the world, which is going to be right here on 11th Avenue in Manhattan. That’s more of a profound excitement, while 3 Hudson Boulevard is really the next chapter for our company, and it’s the ultimate excitement because we think that building is going to change the city. You’ve been working on SKY for over a decade. What were the challenges in building on this site? Mitchell: Costas Kondylis conceived every building on that block. It started with River Place in 1999. Then he designed the Atelier, which was our condo project, and then he designed Silver Towers adjacent to River Place. Finally, SKY, which was years in the making, and was ultimately completed by his succeeding company Goldstein, Hill, & West Architects, which was initially conceived by him as well. We had to do typical remediation to deal with what was underneath the ground. It was nothing that we haven’t done or seen many times before. It was a standard clean up because it was an industrial site. There were no issues whatsoever. 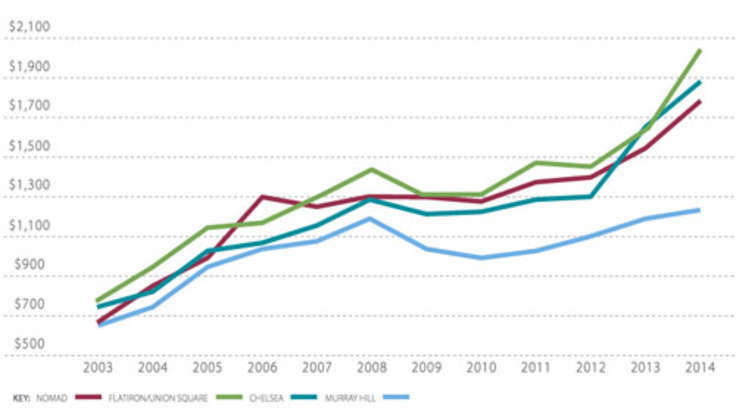 What makes SKY a different type of luxury rental? Mitchell: I was born and raised in Manhattan, and I’ve never seen a rental building like it in my life. I know that might sound like it’s brushed with some subjectivity because of my last name, but I have to say, standing in that lobby, standing in that motor court, and looking at it completely objectively, I have never seen anything like it. There’s nowhere that I know in Manhattan where you can rent an apartment with the level of quality and design that we’ve implemented throughout the building, in the lobby, the common areas, and the units. Every single thing came out much better than the way it was envisioned. There’s nowhere that I know in Manhattan where you can rent an apartment with the level of quality and design that we’ve implemented... Every single thing came out much better than the way it was envisioned. There’s a fitness club, Life Time Athletic at SKY, with interiors designed by David Rockwell, as well as three pools within the club and an NBA-size basketball court designed in collaboration with Carmelo Anthony. Life Time Fitness has the best materials and finishes thanks to Rockwell, and I think they are the best health club operator in the world. Life Time Athletic at SKY is the company’s first club in Manhattan, but they already have over 1.2 million members across the country. In the near future, Life Time Athletic is going to be a household name in Manhattan. And the art collection at SKY is not something you usually see in rental buildings. You have a number of properties in your portfolio that are located in the Financial District, including Ocean and The Renaissance. What else is in the works downtown? 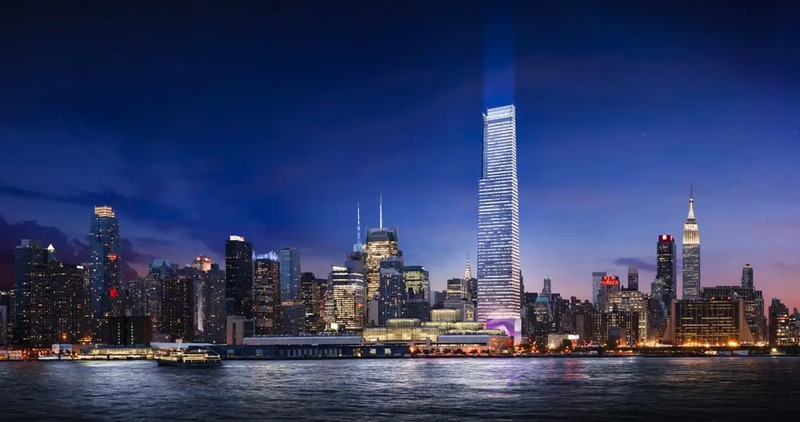 Mitchell: We have Ocean, we have the W, we have 100 John and 90 John, we have 95 Wall Street, which we converted with Philippe Starck and then sold not too long ago. We have 90 Washington, which we also converted. There was an era of focusing on the downtown Lower Manhattan neighborhood, and being part of what is and what was the fastest growing residential neighborhood in America. If you look at the numbers, you can see it just keeps multiplying every year, and we’re glad to have had a big involvement in that. So right now we’re not focused on that area because we’ve already done that. We have a bunch of buildings there, and the next phase for us as a company, on a global level and on a New York level, was moving to 11th Avenue and doing the same treatment, but on a completely different scale and on a completely different level. Similar strategy, but bigger and better and newer. What is the status of 3 Hudson Boulevard? Mitchell: We’ve owned the land for many years, and we’ve been in talks with anchor tenants. It got amazing traction and feedback from the tenants, and we’re making serious headway with some of them at this point. On that note, we decided to initiate the foundation work on this site regardless of what happens. Of course, with a building of this size, any prudent developer would not build on specs. In this building, we’re hoping and anticipating having a signed lease with anchor tenants, and at that point continue from the foundation and go vertical. The foundation is happening regardless, and that’s a big cash commitment our company committed to. You’ve recently launched Currency M. What was the intent and how is it going? Mitchell: Our company is over 30 years old at this point, and the way we see it is that we’ve built 10 buildings, which I think is a beautiful round number and a milestone for us. SKY is our 10th residential building that we built in Manhattan aside from the hotels that we’ve built and the office buildings and things like that. What we’ve done is buy, build, and diversify into hospitality, residential, and commercial to buy and rent. And we also started to get into different financial products. One of the parallel paths we decided to take to continue to diversify and be versatile as a company was to get involved in technology-related businesses that have a direct strategic value to real estate. We figured, it’s 2016, and we’re in the midst of a revolution of some sort where things are being modernized and made more efficient as you can see every day. We figured there are certain things that have a direct correlation to what we do every day, real fundamental businesses that have really strong components and fundamentals. Something that is obvious modernization. We debuted with Paintzen, a startup that offers on-demand painting services. It’s a platform for an industry that’s been around forever but that really had no common fabric or system for hiring and engaging contractors for paint jobs, which is a 25 billion dollar business. We saw the demand for it, and we use them as a company on commercial projects on an almost daily basis, and so do a lot of our peers. So far it’s been a great success. Those kinds of platforms are things that we want to get involved with. Currency M was the identity that we gave our venture arm. We can speak to startups and entrepreneurs, and that’s something we’re doing on a regular basis. They get very excited when they hear that a company like ours, with our resources and the depth that we have, wants to get involved to incubate or promote new companies. It’s very exciting. It’s something we really enjoy doing. Mitchell: Besides SKY? I have my dream project for now. But I’m a big dreamer. I don’t sleep a lot, but I dream a lot. I wouldn’t be surprised if in 5 years from now, when all the aforementioned buildings are fully done and occupied, I have a whole new set of dreams to talk to you about. Contributing Writer Jillian Blume Jillian Blume is a New York City based writer who has published articles widely in magazines, newspapers, and online. Publications include the New York Observer, Marie Claire, Self, MSN Living, Ocean Home, and Ladies Home Journal. 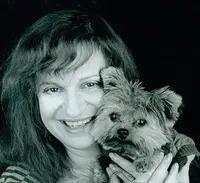 Jillian received a master's degree in Creative Writing from New York University and teaches writing, critical reading, and literature at Berkeley College.